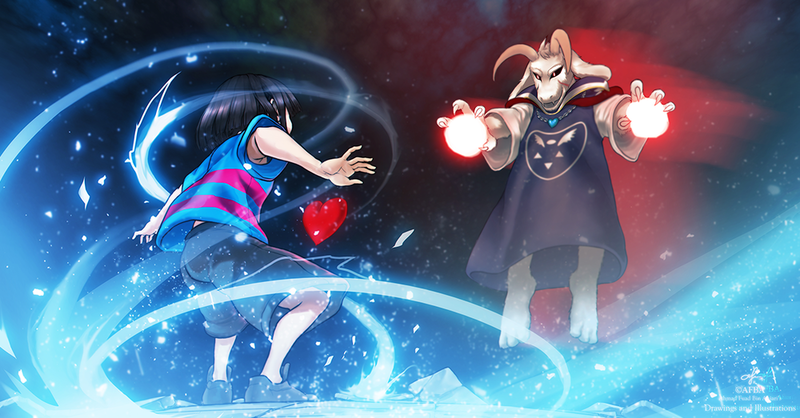 AFBA was kind enough to let me use this amazing piece of Undertale fan art for my Undertale EP, 'Boss Battle'. I really feel that this captures the magic of the game. Even though the game itself is 8-bit, I think this is what we all imagined as we were playing it. Strong choice of colour palette. Red and blue feature so heavily in gaming and I think they do their job here with depicting the opposition.